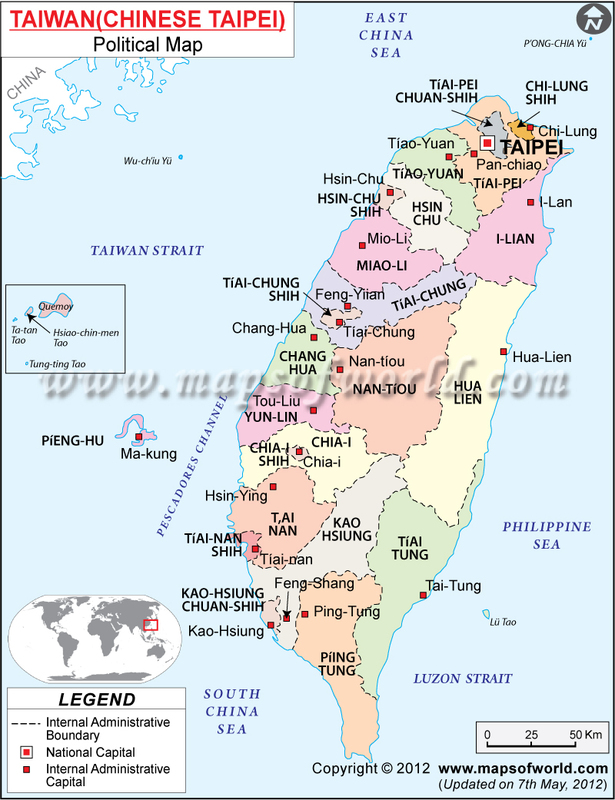 Hualien City is the capital of Hualien County, Taiwan Province of the Republic of China. It is on the coast of the Pacific Ocean. Hualien has an area of 29.41 sq kms and a population of 110,000 people in 35,000 households. It is located at 121°36'23 east, 23°58'20 north and has an annual temperature of 24°. According to the records of Hualien County, the place was originally called Chilai, but this name was abandoned by the Japanese in early 20th century because it sounds like "despise" in Japanese and used Hualien instead. Hualien is an approximate homonym of Huilang which means "recurring waves". Hualien is the largest city on the east coast of Taiwan and also the best jumping point for the famous Taroko Gorge and the beautiful coast. Hualien is the meeting point of the Central Cross-Island Highway, Suau-Hualien Highway, and highways leading south to Taitung. Apart from the natural beauty of the city, Hualien also offers tourists many other attractions: the waterfront Seaside Park; Nanbin Park with its numerous marine sculptures, the "Hawaii of the East" Resort built in Polynesian style, reef walking and rock collection at Chishingtan, and the Buddhist Jingsz Temple. At 108 meters in height, Mt. Meilun is the landmark of Hualien; it is also the site of Jungjeng Park, and this provides fine views of the city. Facilities in the park include a children's playground, footpaths, and an old railway locomotive. The park also contains an exhibition hall with displays of seismographs that were used to detect earthquakes beginning in 1933 but have now been replaced by more modern equipment.